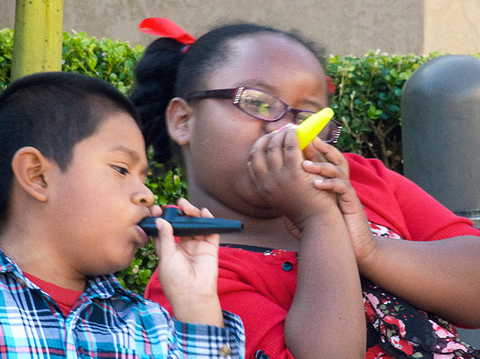 The Kids Like Blues Band played a major corporate event at the Del Mar Hilton! 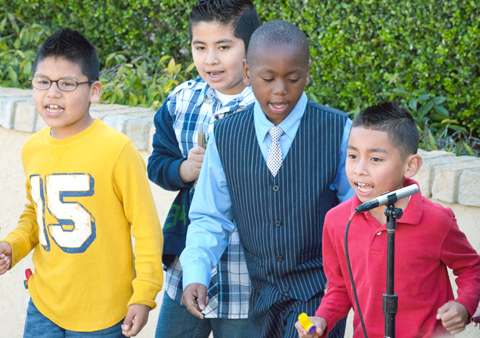 All 30 students in Mr. Schwartz’s second grade class were invited by Sage Hospitality, one of the country’s leading hotel and restaurant management companies, to perform on March 13th for their Community Day at the Del Mar Hilton during their 2013 Leadership Conference. What a blast! The kids were treated like royalty and had the time of their lives. 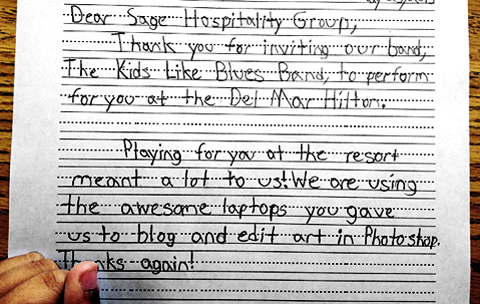 Sage Hospitality generously donated two brand new touchscreen laptops to the band’s classroom at Garrison Elementary in Oceanside, CA and paid for their transportation. 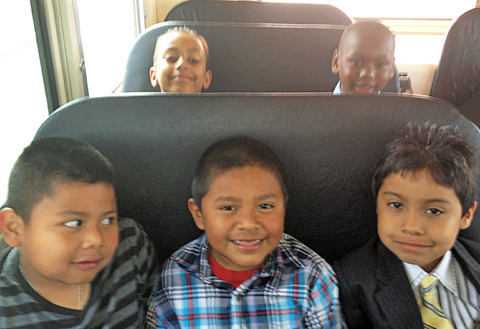 Just getting on the bus was a huge deal for the kids. They hadn’t had a field trip all year and here they were being driven for free to a gig of their own at an expensive hotel! This was a tremendously generous and gracious act and all our students are so lucky to have such a kind benefactor. 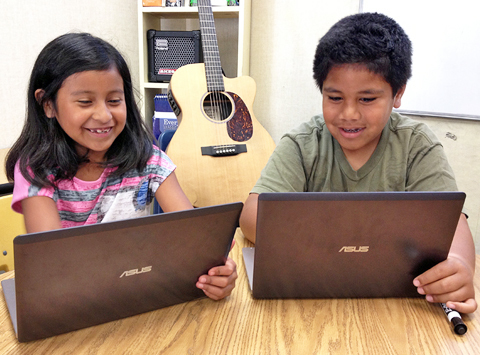 Most of the kids at our school are on free or reduced lunch, so the free trip, opportunity to perform, and gifted new computers make a huge difference for the children. Kudos to Sage Hospitality! Before the big day, we used the event to teach concepts across the curriculum. Using Google Maps on the LCD projector, we researched the route and distance to the destination, which touches on map skills and geography, and the students wrote and blogged all about our upcoming gig on their personal anonymous blogs. 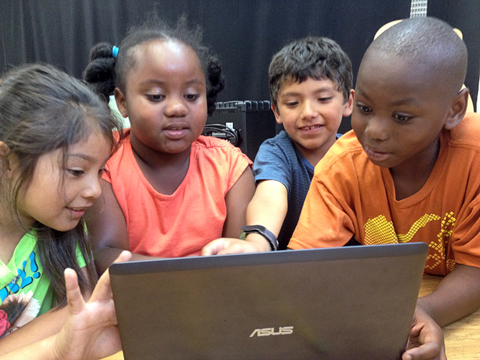 Click here to see a video showing my students doing great things with technology. 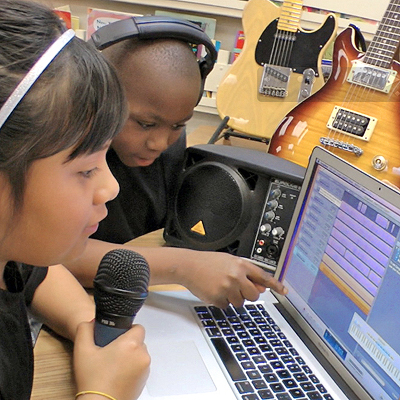 In fact, our class’s work involving technology and the performing arts has been featured by many prestigious organizations; click these links to see how we’ve been featured by the US Department of Education, KPBS, American Blues Scene, and The San Diego Union Tribune. I recently presented their work at the California Association for the Gifted (CAG) conference in Anaheim and wrote an article for an education policy site called EdSource about our work as well. We covered math, social studies, reading, and writing standards during our preparation for the trip to the Del Mar Hilton, and rehearsed various songs so we’d be ready. 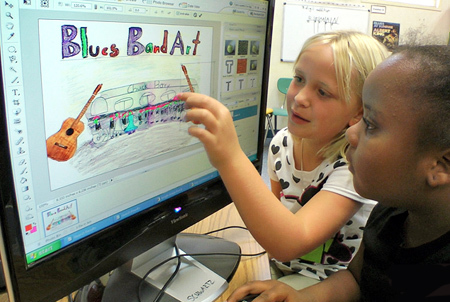 To see how we use blues music to teach academics and tech, watch this video here. 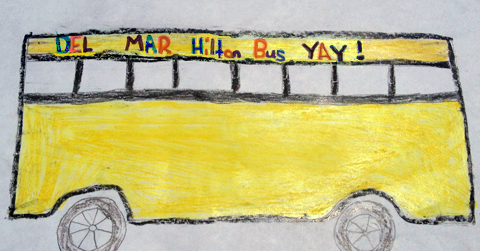 When we arrived at the Del Mar Hilton, the kids’ eyes nearly bulged out of their sockets! 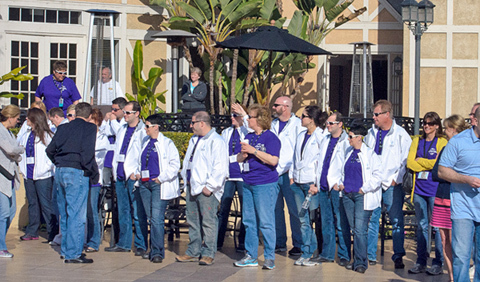 We were escorted into the gorgeous hotel and brought poolside where all of their conference attendees were ready for us. After a ton of practice, the kids were so excited to perform a number of our songs featuring different student combinations. They totally shredded and acted like seasoned professionals. We’ve actually played a lot of gigs, including LegoLand, Cal State San Marcos, street fairs, talent shows, and even have a big date on June 11 at the Del Mar Fair, but Sage’s treatment was a cut above. Their kindness didn’t end there – after our performance, they presented us with two brand new bases and two brand new touch screen Asus laptops wrapped in blue boxes with bows! This amazing technology allow our class to do so much more with our blogging, Photoshop projects, video editing, etc., and I am also using these machines in the free tech classes I offer before school to the parents and students of Garrison Elementary. To learn more about this program read here. Personally it’s very exciting to have high quality computers. 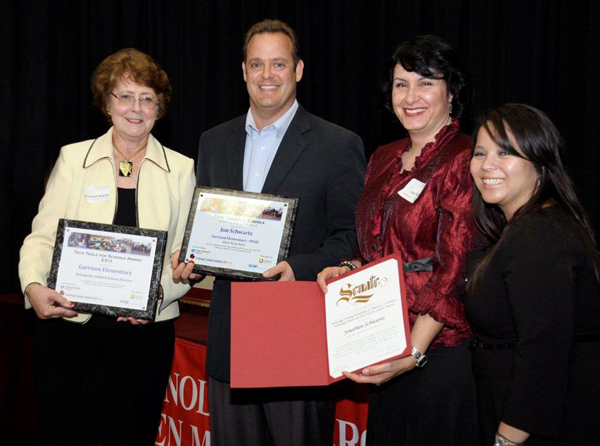 I was named “2011 Tech Hero” by the California State Senate and having new machines enables me to transfer the my passion fort tech to a larger number of people in the community. 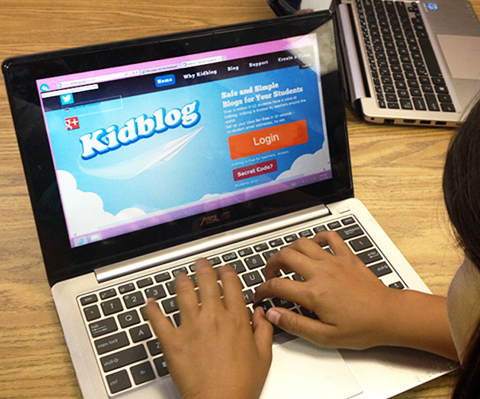 My students and I have been pioneering blogging and Photoshop in elementary education and the state of the art laptops Sage gave us will help us to explore new frontiers in elementary education tech, using programs like Garage Band and iMovie. 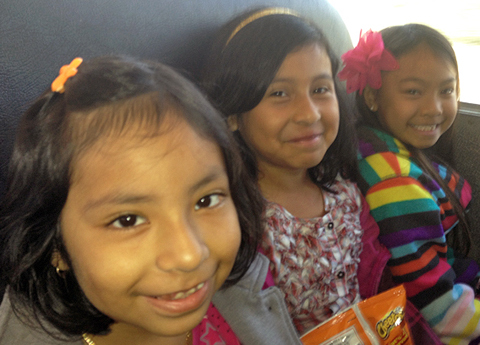 After our performance, we hopped on the bus and headed back to school in time for lunch. 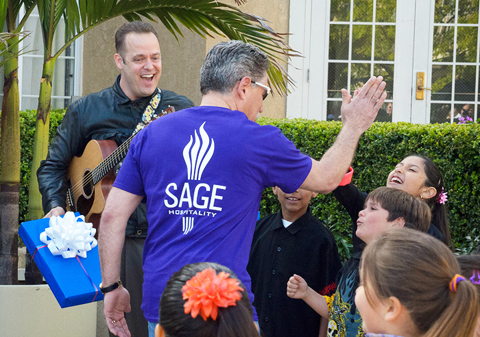 What an incredible day we’ll all remember, all thanks to the generosity of Sage Hospitality!!! If anyone else wants to follow Sage’s lead and support arts and tech in public schools, I encourage you to do so! The performing arts lay a vital role in shaping our youth and allowing teachers and classrooms to unify all the different strands of academics into a cohesive unit. 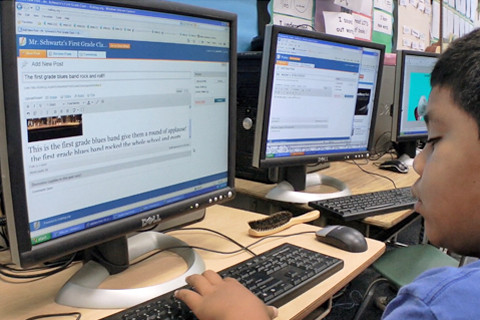 With declining school budgets, corporate partnerships like the one featured in this article are incredibly important. For those interested in reading about the value of the performing arts and how they can help kids learn academics, check out this article here that I wrote for the ed policy website EdSource..